Adam levine, November 12,2008. November 12, 2008. Movistar arena, chile. HD Wallpaper and background images in the Adam Levine club tagged: adam levine maroon5. 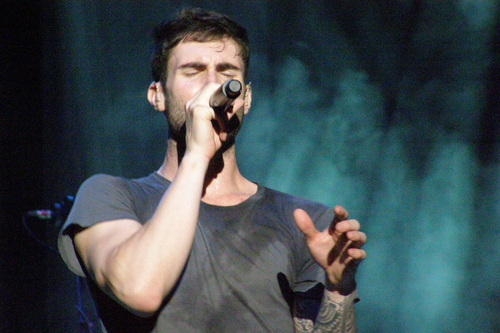 This Adam Levine photo might contain 음악회 and 콘서트.